Unicorns are still a trend this year. 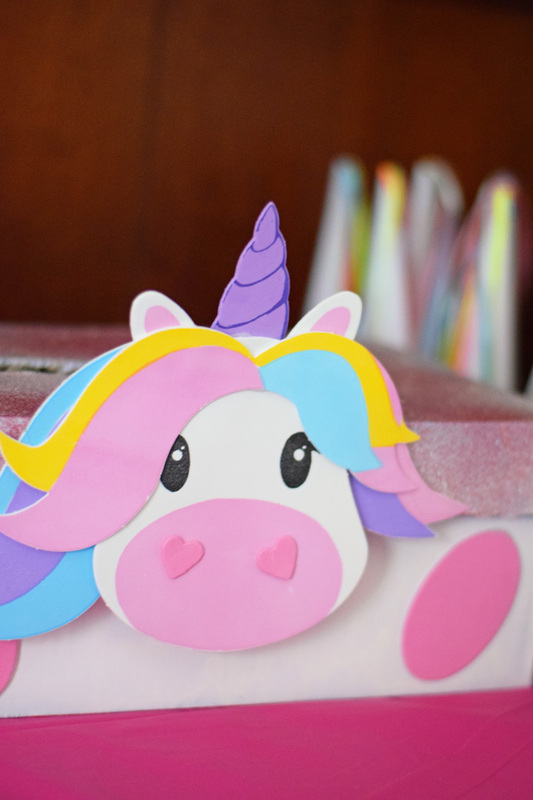 Use the kit from Oriental Trading plus a box from home to create a Unicorn Valentine’s Day Card Box large enough for all the valentines that you receive from your loves! Supplies for this post were provided by Oriental Trading Company. My daughter is still following the unicorn trend. She is convinced that they are real, and she has managed to convince her brothers that they are, too. Haha! 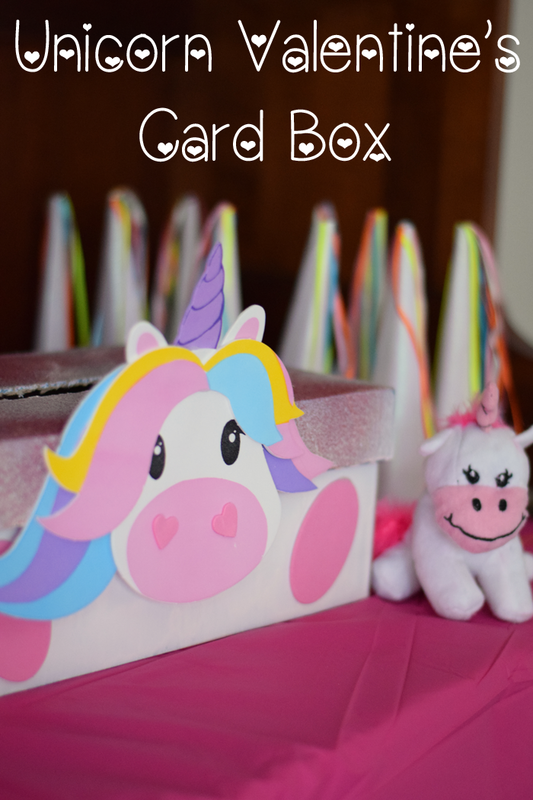 She has already made this fun Unicorn Valentine’s Day Card box for Valentine’s Day this year. For this project, we are using the unicorn pieces from the Oriental Trading Unicorn Valentine’s Day bag. These are especially great if you want to make more than one. 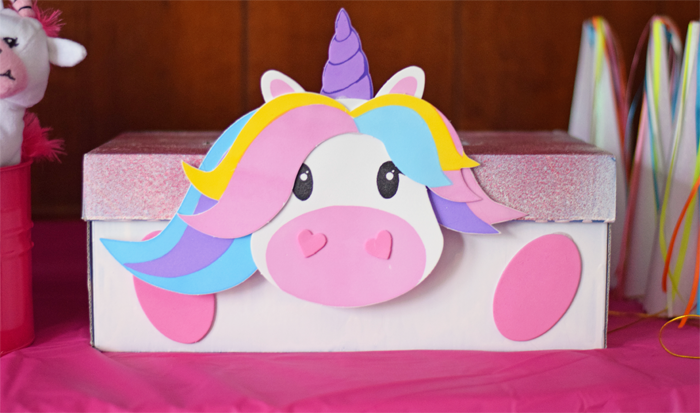 If they are not in stock, feel free to use your Cricut to create the unicorn head pieces or let your kiddo draw their own. Begin by painting the entire exterior of the box with the white spray paint. Let it dry completely. Repeat if the box needs another coat to cover. 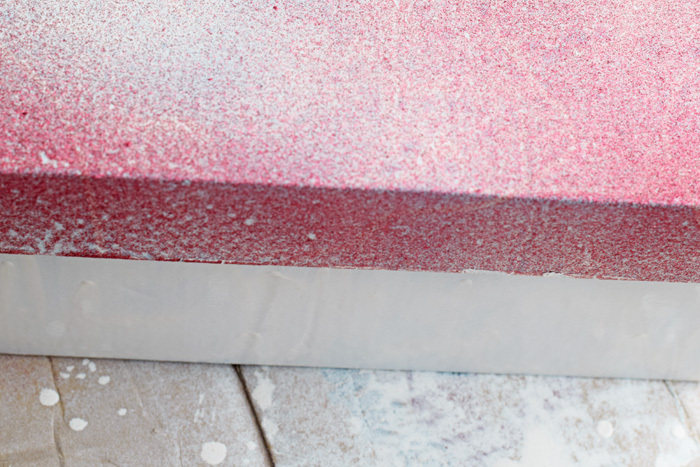 Spray the top of the box with the glitter spray paint. 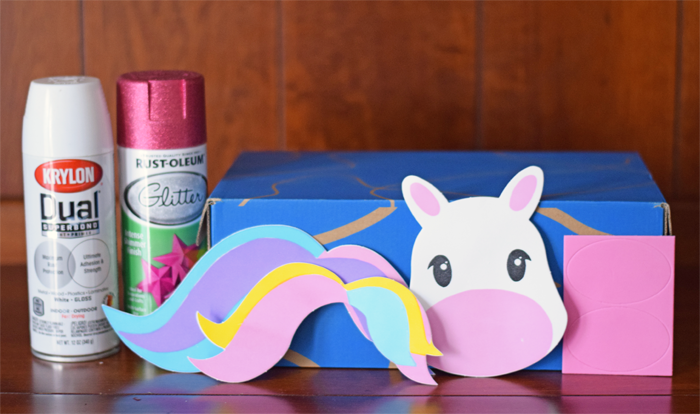 I only painted the top because I wanted it to represent the unicorn’s mane, but you can pain the entire box if you want. Let the glitter paint dry thoroughly. Using the Xacto knife, cut a large opening in the top of the box. 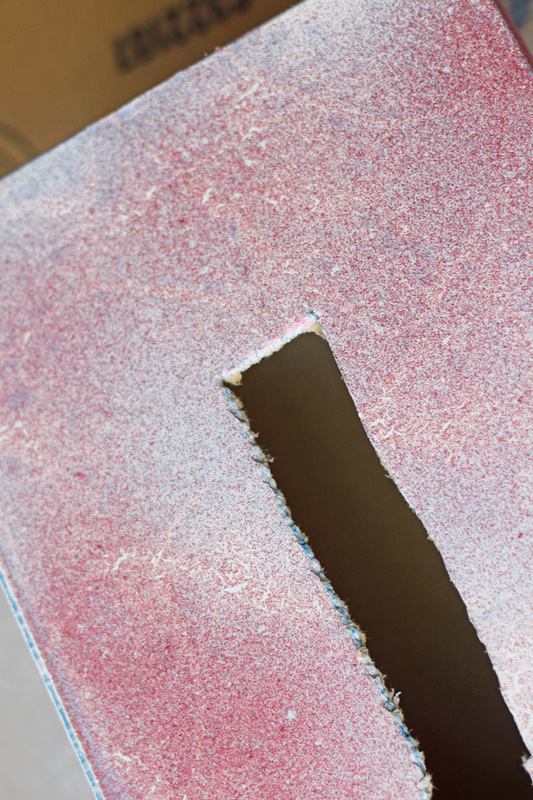 Since many kiddos include small prizes with their Valentines, be sure to cut the opening large enough to fit small prizes or lollipops. Adhere the unicorn pieces to the front of the box. The pieces have sticky adhesive on the back, but the large pieces will need additional adhesive to stick to the spray paint (especially the glitter part!). Use the hot glue gun for this.